Energy Conservation Kit 2t to help save energy at home. 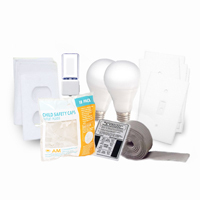 This Energy Conservation Kit is assembled to help you go a step further on your path to save energy in the home. The items come in the reclosable plastic bag.